Since our Tuscany house didn’t work out, we headed out today with our realtor and looked at 9 more houses. I’ve lost count, but think we’ve looked at about 20 houses in all at this point. We seem to find a house we like, but the outdoor space isn’t what we’re looking for. Primarily, all the yard has been taken up by pool and our dogs need a place to potty. I have also wanted to find something that has enough yard space that I can establish a couple small key-hole gardens. It really is difficult to find, at least in our price range. If we find a house that has the pool and yard space we desire, the house seems to be lacking. That seemed to be the norm as we were looking today. Until we walked into house #8. It wasn’t in the door long before I knew I wanted to put an offer in on the house. 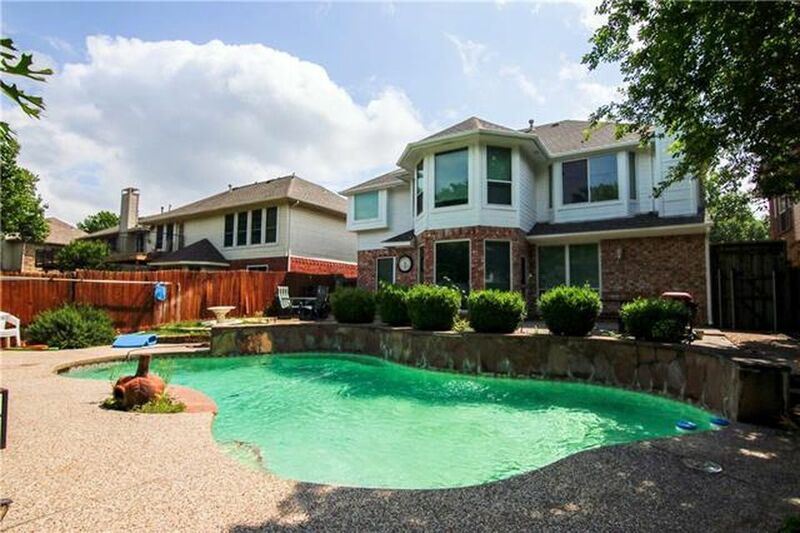 When we walked outside and saw the pool and yard, I verbalized the fact that we were putting an offer on the house. The icing on the cake was the park and large fishing pond with fountain that was our view over the fence. From the house, we could easily see the park, which had a nice playground. Was the house perfect? Absolutely not. All the carpet in the house needed to be pulled up and we immediately knew we would replace it with hard wood floors. The ceiling needed some repair from a previous leak that had been repaired. The yard needed some sprucing up, but it had nice shade in the front and some in the back. There was plenty of room for the dogs and some space for key hold gardening. We sat at the table with the realtor and discussed the offer a bit and then headed out to see home #9 about 5 miles down the road from house #8. The realtor had scheduled the viewing and by this point, we were running late and not sure we could see house #9. When we pulled up, we discovered the homeowners were back home. Oops! Our realtor spoke with the homeowner, who very graciously allowed us to come in and take a look. We were very impressed as we walked in and began looking around. The house is one of the smaller houses we’ve seen and it needed new flooring in the living room, but everything else was very nice. Then we walked out to see the pool and yard. It was this point we were sold. While a larger yard would have been nice, we just couldn’t ignore the fact that this was everything we had been looking for. It had space for the dogs and some space left over for a key-hole garden. The pool was gorgeous as was the attached hot tub. There was a very nice pergola with a nice bar and plenty of room for an outdoor table and chair. It also had an outdoor television. We headed back in to look thru the rest of the house. Off the living room was a 1/2 bath with a door that lead out to the pool area. No walking thru the house to go to the bathroom. The bonus was the doggie door in the bathroom door. The carpet on the stairs is not our style, but it appeared to be in good shape. At the top of the stairs was a bonus room that the seller’s had converted into a media room. There were also three bedrooms and two bathroom upstairs. 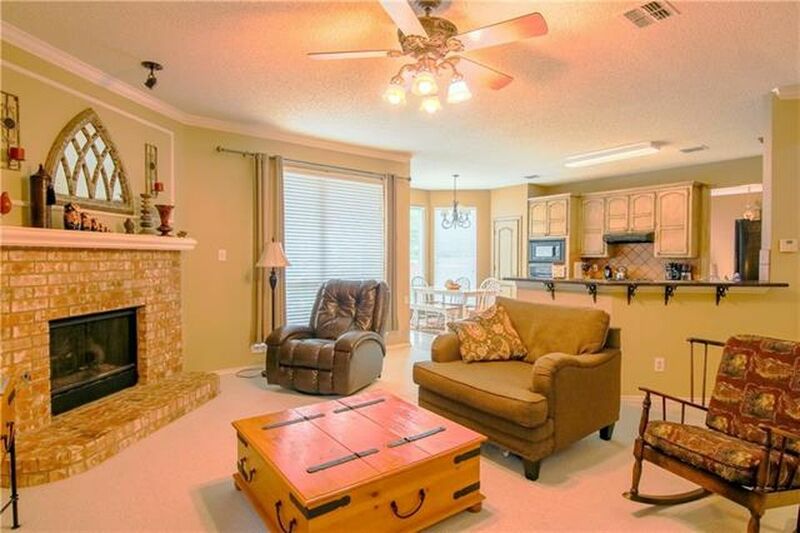 All very nice, with wood floors. We headed back outside to look at the pool area again where the sellers were waiting for us to finish our walk-thru. We had a nice chat with them and found that Mr. Seller and his brother did all the pool and outdoor living space. They own their own business installing pools and outdoor living space. Based on what we saw, they do good quality work. I also found out that they go on two cruises a year. Since we like cruising as well, we immediately began to click. They shared a little bit about themselves and told us they were selling because they were building a house nearby. They were a very nice couple and hopefully they enjoyed visiting with us enough that they’ll accept our offer. Yes, we put an offer on a second house today. In the State of Texas, buyers can put offers in on multiple properties. It increases our chances of having an offer accepted and moving forward with a purchase. If both offers are accepted, then we get to choose which house we want to pursue. It’s a nice benefit to buyers. After house #9, we had four more listings to see. Unfortunately, we were just done. We had found two houses we liked enough to put offers on and by this point we had been looking at houses for just over 5 hours. Now we wait to see if either offer is accepted and while we do prefer one house over the other, we would be happy with either one. I am so excited to see where you end up. I was sad about the Tuscany house but know that something better is just waiting for you! The Tuscany house situation was very frustrating, but we’ve moved on. It wasn’t meant to be and we’re finding houses that may better suit us. So it’s all good. I love the privacy of house #9!!!!!! Good Luck!!!!!! #9 does have more privacy. We would have to create more privacy for #8. However, the seller of #9 owns his own pool and outdoor living space business, so we could always hired him to create that space for us :-). 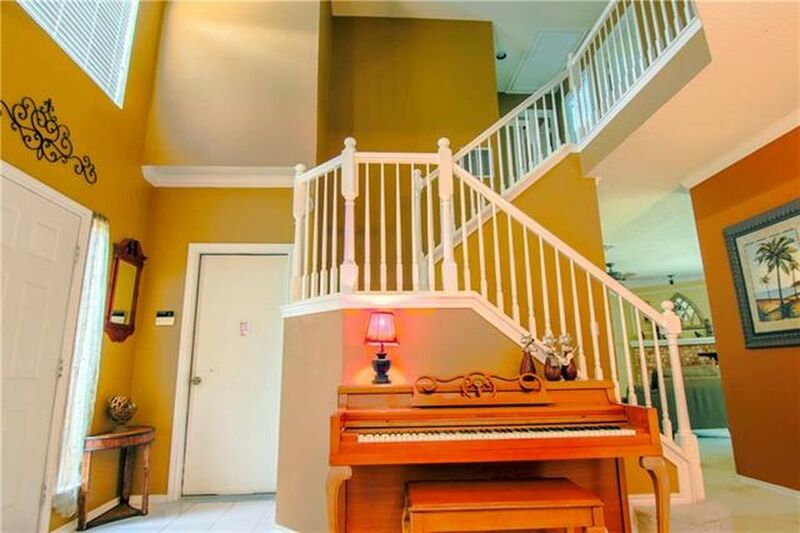 #8 has 4 bedrooms while #9 has 3 bedrooms. Decisions, decisions. Fingers crossed that one of the offers will be accepted and we can get thru the financial part of it problem free. Dave’s favorite is #9. I’m on the fence. The outdoor space is larger on #8, plus it has an awesome fishing pond, playground and fountain at the park right behind the house. #8 also has 4-bedrooms where #9 only has 3-bedrooms. Although #9 has a bathroom right off the pool area, and #8 would require a walk across the kitchen and living room area to get to the bathroom. Of course #9 has the awesome pool and hot tub with the bar and pergola. Buying a house shouldn’t be this hard 🙂 And once we get a house and settled, the invite is open. Come on down anytime.